As leaders gather in Fiji this week for the Melanesian Spearhead Group (MSG) Leaders Summit, the Pacific Institute of Public Policy (PiPP) has released its findings from the first ever telephone poll conducted across Melanesia. 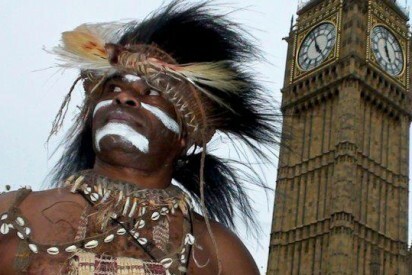 Seven questions relating to the “Melanesian family” of nations were posed, including one asking which major “non Pacific island” nation was considered to be the best partner for individual nations in the region. MSG leaders may be encouraged that a majority (74.9%) of respondents were aware of the regional body to represent Melanesians. When asked who they considered part of the Melanesian family, a clear majority of respondents included the established members (PNG, Solomon Islands, Vanuatu, Fiji and New Caledonia) while 42% also included West Papua, 17.1% included Australia, 14.9% included Indonesia and 14.1% included Timor Leste. Another question posed was “do you support independence for West Papua?” A clear majority of respondents across Melanesia said yes, with very high support in PNG (89.3%) and Vanuatu (88.2%). 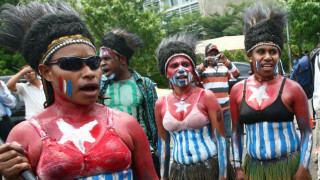 This suggests a disconnect between popular support and the position taken by governments in the region, except Vanuatu, which has long championed the West Papuan cause at the political level. Asked to relate the relationship between their country and Australia, the majority of respondents said it was positive except those in Fiji. Australia is also considered to be the best external partner for PNG (40.5%) and the Solomons (40.4%), while for Vanuatu only 14.1% of respondents considered Australia best, whereas China scored 32.9%. Among respondents in Fiji there was a sense that it considered Australia, New Zealand, China and US as all roughly equal in importance. In relation to engagement with Fiji, a majority of respondents including those in Fiji itself, opted for increased engagement or keeping the level of engagement as it is. The views expressed by the respondents of this poll may assist MSG leaders as they deliberate on the future of this region.